The speckled mousebird is the largest species of mousebird, as well as one of the most common. 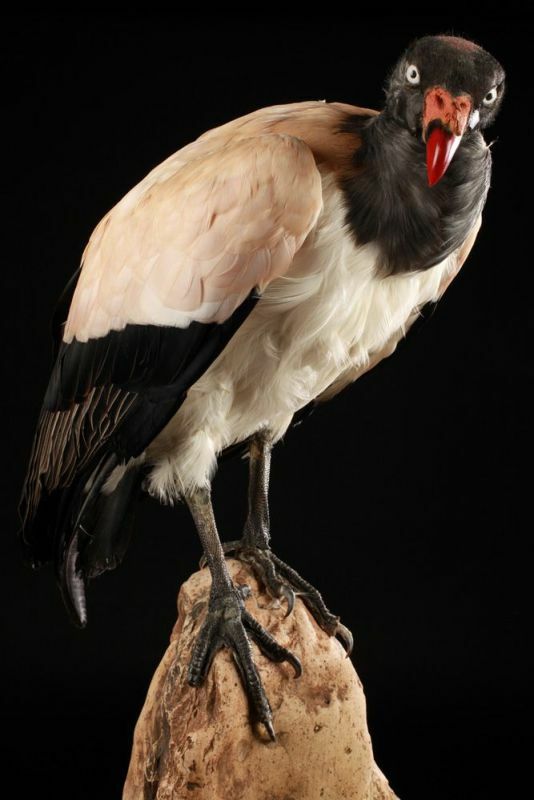 Due to their small size, their little beaks, their necks and their legs rather short, these birds were first taken for passeriformes. 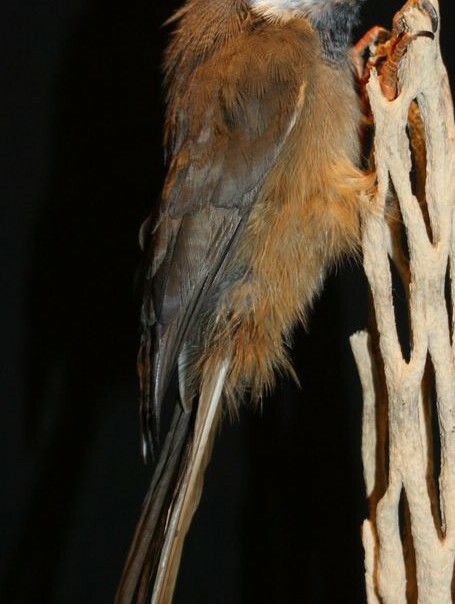 General tone of this bird ranges from warm brown to brown ash-colored, with a buff belly and forehead, lores and a groove from light black to dark black. They have a long graduated tail on the edges, representing more than 2/3 of the body. Both sexes are similar. Juveniles have a shorter peak, a dark, bare neck, thin white stripes in the lower middle of the back. They have a very rich repertoire of vocalization, certainly due to the density of their habitat and their very social mores. Their habitat ranges from the edge of forests to areas of dense bushes, open forests, ancient cultures abandoned parks and gardens in the city, the tree savanna and shrubs in riparian forest or hedges surrounding crops . They avoid closed forest and open areas dry. Those birds have very flexible legs, facilitating movements in the branches and plants mess. They are very agile for walking, running and jumping. They share with the bats the ability to stay hanged without additional energy expenditure. They constitute a family groups of 6 to 8 individuals sometimes increasing to 20 individuals near food items, they are physically very close to each other. Fruit of exchange rituals or leaves are often observed between individuals. Breeding occurs throughout the year, females lay 4 to 8 times a year. Pairs are monogamous with individuals who help the couple. Usually two or three eggs are laid and brooding is ensured by both parents; feeding young is also done by the parents and by aid. The first litter can occur after the age of one year but individuals were seen laying after only 6 months of age. Its lifetime is estimated at 12 years. They eat mostly fruit, foliage, buds, buds, flowers, nectar, bark, insects, termites, ants. They absorb a significant number of plants poisonous to other animals. The speckled Mousebird is not threatened.